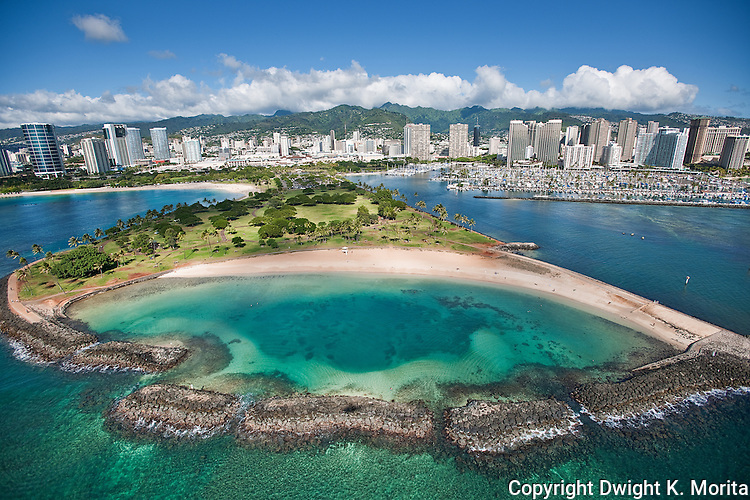 Aerial view of the man-made lagoon at the end of Magic Island, at the eastern end of Ala Moana Park. This part of the park is the subject of discussion to be renamed in honor of Barack Obama by his hometown, Honolulu. The Ala Wai Yacht Harbor is to the right and the Ala Moana Shopping Center is to the left.